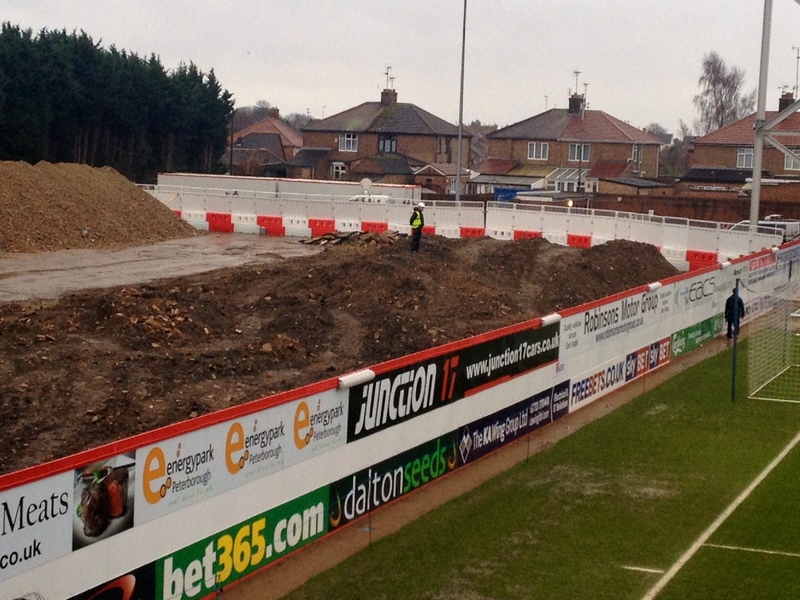 I have nothing against Peterborough and indeed the people I met today at the football ground were pleasant and normal. However it was a little like arriving in a parallel universe. 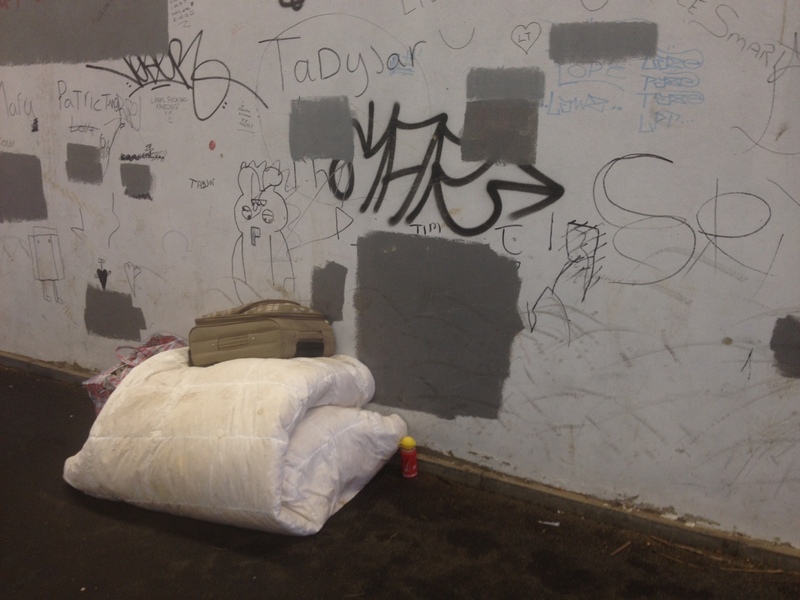 This is more easily explained using photographic evidence to support my case. 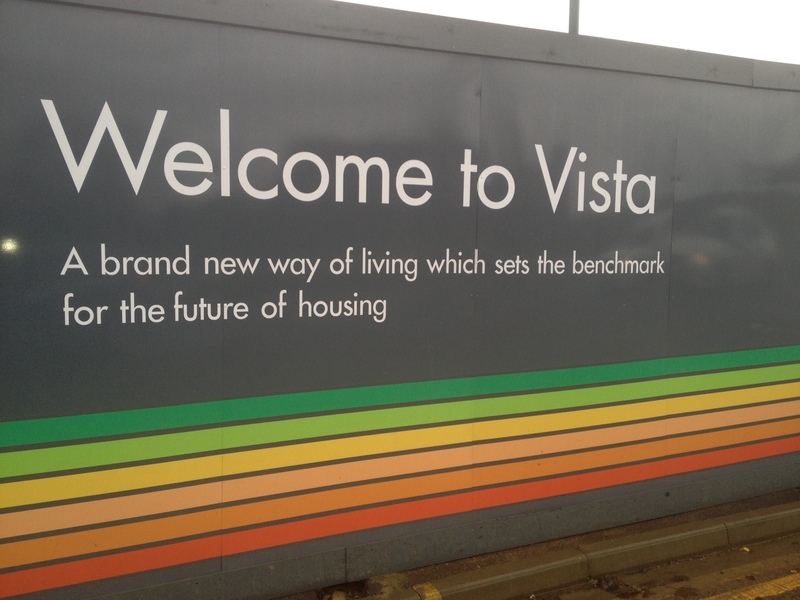 The advert for Vista homes makes an interesting point but is sited very close to the underground tunnel and suggests that the tunnel is the place to live. In fact it states ” A brand new way of living that sets the benchmark for future housing”. In tunnels maybe? In the small catering outlet in the football ground two gentlemen serving food and drinks were pouring their hot water from a tap. 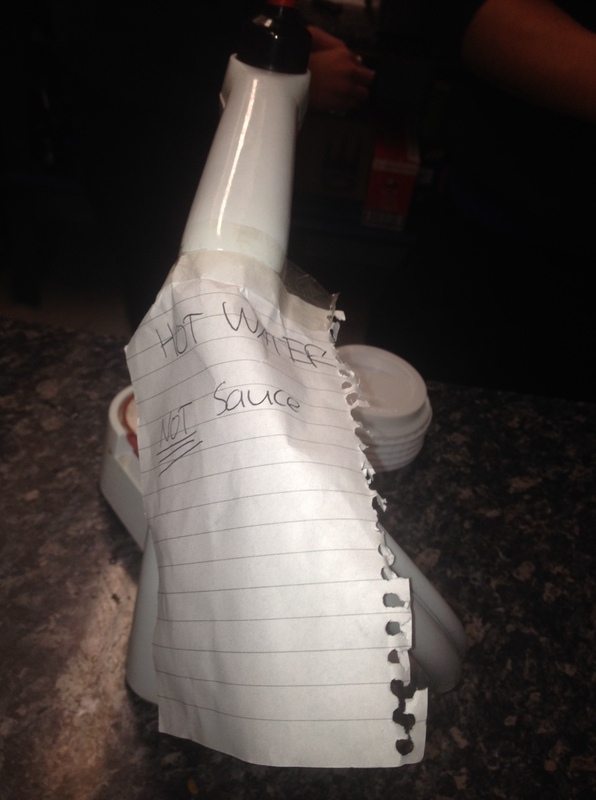 Clearly they could be absent minded as there was a piece of paper attached stating ” Hot water not sauce”…….. 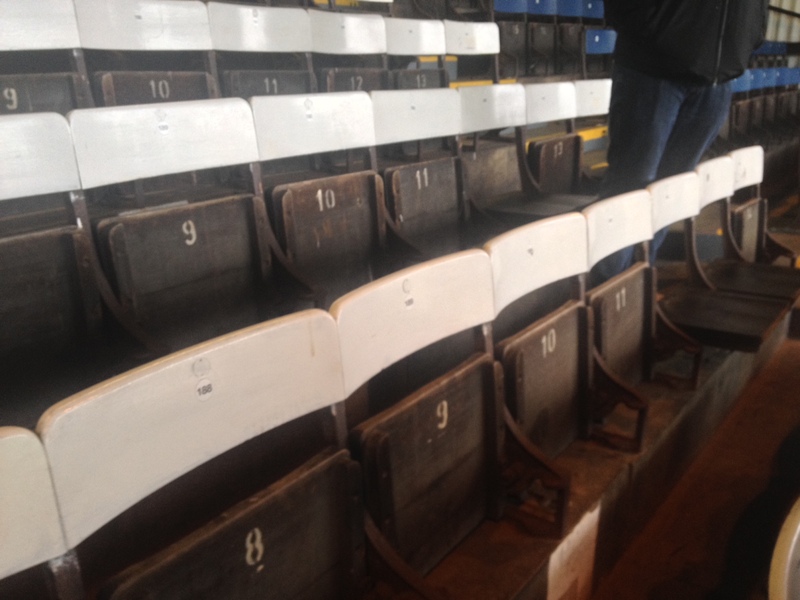 Wooden seats to sit on that reminded me of outside toilets at my grandparents house around 50 years ago. 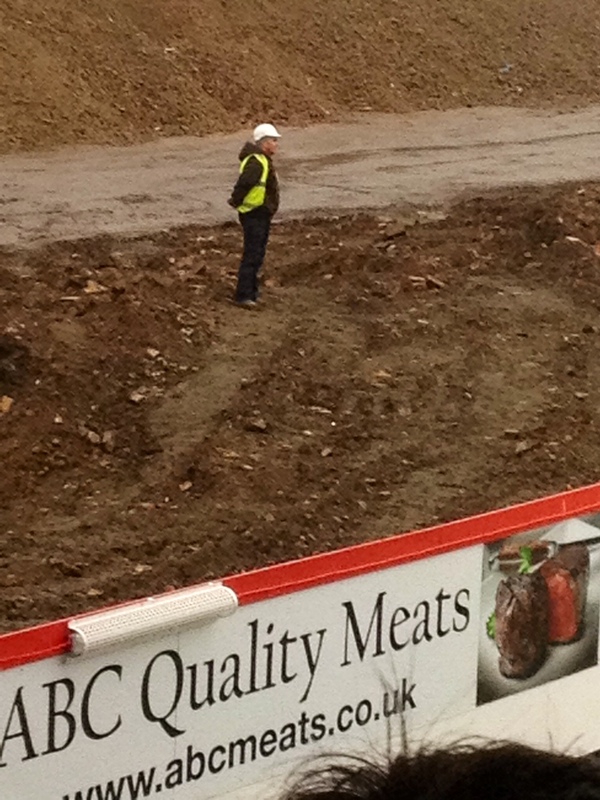 Bob the builder standing on the mud pile where the old terracing was sited complete with builders hat. His role to collect the stray footballs that were ventured over.